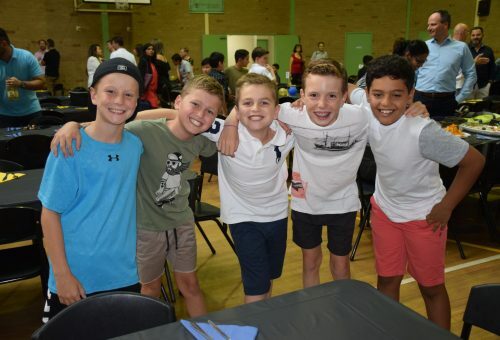 The Junior School Family Dinner was held on Friday 9 March. For all who attended, it was a wonderful opportunity to catch-up with friends and meet and connect with new families in a relaxed and informal manner. During the evening, our newly commissioned Junior School Student Leaders’ raised money for the College’s Lenten Appeal. All donations will be given to our Lenten partners this year, the Edmund Rice Centre, and we thank those who supported this worthy cause. As the evening proceeded, the boys had a sing-off with the Old Boy fathers and raised the roof of the Gymnasium with renditions of the College War Cry and Anthem. The College would like to acknowledge the tremendous work of the P&F Committee for organising such as fantastic evening.